I have a surprise for my readers today. For the first time since I began blogging about books and authors, I have the pleasure to feature a children’s play. 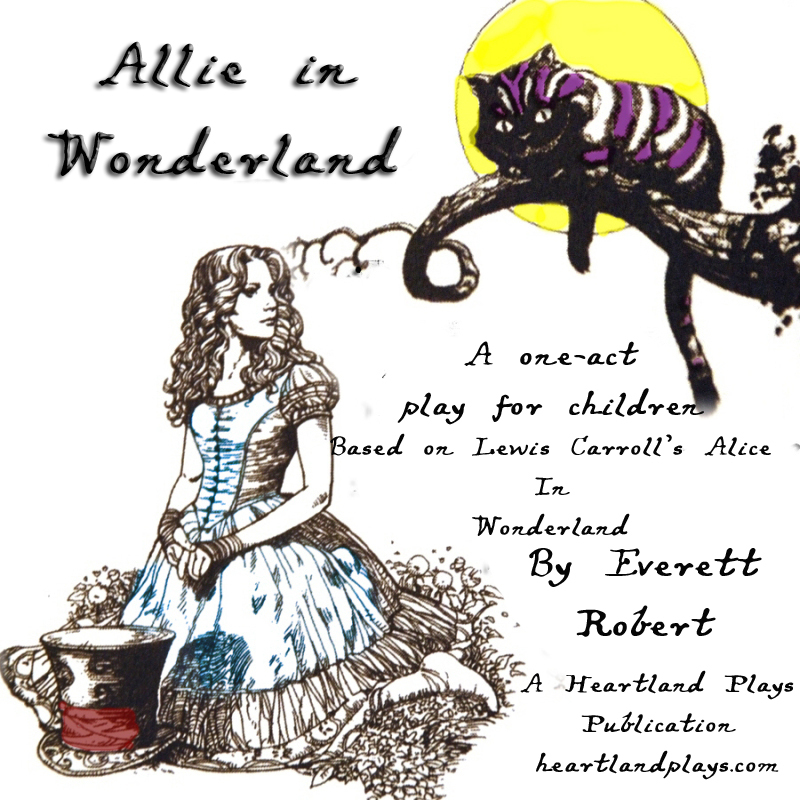 Allie in Wonderland was written by author Everett Robert. If you have small children at home then I suggest peaking through this post. What happens when Alice forgets how to dream? That’s what the characters in this refreshing adaptation of Lewis Carroll’s timeless tale want to know. For one thing, Wonderland isn’t quite as wonderful anymore; the sparkle fades and the characters lose their luster. But rumor has it that thoroughly modern Alice, who prefers the name, Allie, is coming back. There’s hope yet for Wonderland if only the Cat can convince her that the imagination is not only real but necessary. This is the opportunity for your actors and your audiences to see Alice in a new light and follow her through the rabbit hole where she rediscovers the magic of Wonderland along with all your favorite characters from the White Rabbit and the Caterpillar to Tweedle Dee, Tweedle Dum, the Mad Hatter and the March Hair. And Wonderland wouldn’t be complete without the Queen of Hearts with her Flamingo croquet mallets who still threatens to “cut off her head!” But Allie has a weapon of her own; a Triple Chocolate Espresso Mocha Latté with whipped cream. Hailed as “one of our best new children’s authors”, Everett Robert is an award winning author, playwright, actor, and director with over 20 years of experience. A Kansas native, he graduated from Colby Community College with an Associates of Applied Science in Radio and Television Communications and an Associates of Applied Arts in English with a Drama Emphasis. He currently attends Fort Hays State University, with a planned graduation date of 2014 with a Bachelors in English Education. Everett is a member of the Dramatists Guild of America, The Playwright’s Center, The Kansas Writer’s Association, and the Oklahoma Writer’s Federation. Everett’s plays have been performed by several schools in Kansas. 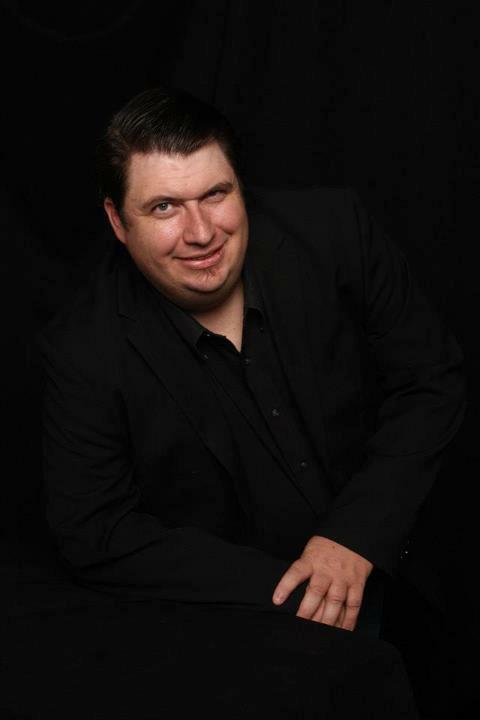 He has been personally involved in all of the productions as an actor, producer, director, and fight choreographer. Published Works include: Allie In Wonderland (Heartland Play Publishers, 2012), The Absolutely True Story of Tom Sawyer As Told By Becky Thatcher (Heartland Play Publishers, 2013), and winner of The Greatest Western Never Told included in the Cactus Country III Anthology (High Hill Press, 2013). Awards include: First place 2011 KWA Prose and Poetry Contest (first chapter), 4th place 2011 KWA Prose and Poetry Contest (Adult Short Fiction), 3rd place 2011 Solomon Valley/Highway 24 Call For Voices (Adult Short fiction), 2nd Place Oklahoma Writer’s Federation 2011 Contest (Western Novel).